Nathaniel Parker Willis (January 20, 1806 – January 20, 1867), also known as N. P. Willis, was an American author, poet and editor who worked with several notable American writers including Edgar Allan Poe and Henry Wadsworth Longfellow. He became the highest-paid magazine writer of his day. For a time, he was the employer of former slave and future writer Harriet Jacobs. His brother was the composer Richard Storrs Willis and his sister Sara wrote under the name Fanny Fern. Born in Portland, Maine, Willis came from a family of publishers. His grandfather Nathaniel Willis owned newspapers in Massachusetts and Virginia, and his father Nathaniel Willis was the founder of Youth's Companion, the first newspaper specifically for children. Willis developed an interest in literature while attending Yale College and began publishing poetry. After graduation, he worked as an overseas correspondent for the New York Mirror. He eventually moved to New York and began to build his literary reputation. Working with multiple publications, he was earning about $100 per article and between $5,000 and $10,000 per year. In 1846, he started his own publication, the Home Journal, which was eventually renamed Town & Country. Shortly after, Willis moved to a home on the Hudson River where he lived a semi-retired life until his death in 1867. Willis embedded his own personality into his writing and addressed his readers personally, specifically in his travel writings, so that his reputation was built in part because of his character. Critics, including his sister in her novel Ruth Hall, occasionally described him as being effeminate and Europeanized. Willis also published several poems, tales, and a play. 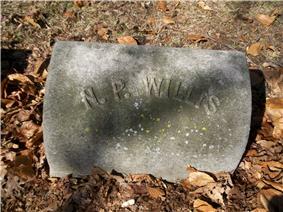 Despite his intense popularity for a time, at his death Willis was nearly forgotten. Nathaniel Parker Willis was born on January 20, 1806, in Portland, Maine. His father Nathaniel Willis was a newspaper proprietor there and his grandfather owned newspapers in Boston, Massachusetts and western Virginia. His mother was Hannah Willis (née Parker) from Holliston, Massachusetts and it was her husband's offer to edit the Eastern Argus in Maine that caused their move to Portland. Willis's younger sister was Sara Willis Parton, who would later become a writer under the pseudonym Fanny Fern. His brother, Richard Storrs Willis, became a musician and music journalist known for writing the melody for "It Came Upon the Midnight Clear". His other siblings were Lucy Douglas (born 1804), Louisa Harris (1807), Julia Dean (1809), Mary Perry (1813), Edward Payson (1816), and Ellen Holmes (1821). In 1816, the family moved to Boston, where Willis's father established the Boston Recorder and, nine years later, the Youth's Companion, the world's first newspaper for children. The elder Willis's emphasis on religious themes earned him the nickname "Deacon" Willis. After attending a Boston grammar school and Phillips Academy at Andover, Nathaniel Parker Willis entered Yale College in October 1823 where he roomed with Horace Bushnell. Willis credited Bushnell with teaching him the proper technique for sharpening a razor by "drawing it from heel to point both ways ... the two cross frictions correct each other". At Yale, he further developed an interest in literature, often neglecting his other studies. He graduated in 1827 and spent time touring parts of the United States and Canada. In Montreal, he met Chester Harding, with whom he would become a lifelong friend. Years later, Harding referred to Willis during this period as "the 'lion' of the town". Willis began publishing poetry in his father's Boston Periodical, often using one of two literary personalities under the pen names "Roy" (for religious subjects) and "Cassius" (for more secular topics). The same year, Willis published a volume of poetical Sketches. In the latter part of the 1820s, Willis began contributing more frequently to magazines and periodicals. In 1829, he served as editor for the gift book The Token, making him the only person to be editor in the book's 15-year history besides its founder, Samuel Griswold Goodrich. That year, Willis founded the American Monthly Magazine, which began publishing in April 1829 until it was discontinued in August 1831. He blamed its failure on the "tight purses of Boston culture" and moved to Europe to serve as foreign editor and correspondent of the New York Mirror. In 1832, while in Florence, Italy, he met Horatio Greenough, who sculpted a bust of the writer. Between 1832 and 1836, Willis contributed a series of letters for the Mirror, about half of which were later collected as Pencillings by the Way, printed in London in 1835. The romantic descriptions of scenes and modes of life in Europe sold well despite the then high price tag of $7 a copy. The work became popular and boosted Willis's literary reputation enough that an American edition was soon issued. Despite this popularity, he was censured by some critics for indiscretion in reporting private conversations. At one point he fought a bloodless duel with Captain Lord Byron. While abroad, Willis wrote to a friend, "I should like to marry in England". He soon married Mary Stace, daughter of General William Stace of Woolwich, on October 1, 1835, after a month-long engagement. The couple took a two-week honeymoon in Paris. The couple moved to London where, in 1836, Willis met Charles Dickens, who was working for the Morning Chronicle at the time. In 1837, Willis and his wife returned to the United States and settled at a small estate on Owego Creek in New York, just above its junction with the Susquehanna River. He named the home Glenmary and the 200-acre (0.81 km2) rural setting inspired him to write Letters from under a Bridge. On October 20, 1838, Willis began a series of articles called "A New Series of Letters from London", one of which suggested an illicit relationship between writer Letitia Elizabeth Landon and editor William Jordan. The article caused some scandal, for which Willis's publisher had to apologize. On June 20, 1839, Willis's play Tortesa, the Usurer premiered in Philadelphia at the Walnut Street Theatre. Edgar Allan Poe called it "by far the best play from the pen of an American author". That year, he was also editor of the short-lived periodical The Corsair, for which he enlisted William Makepeace Thackery to write short sketches of France. Another major work, Two Ways of Dying for a Husband, was published in England during a short visit there in 1839–1840. Shortly after returning to the United States, his personal life was touched with grief when his first child was stillborn on December 4, 1840. He and Stace had a second daughter, Imogen, who was born June 20, 1842. Later that year, Willis attended a ball in honor of Charles Dickens in New York. After dancing with Dickens's wife, Willis and Dickens went out for "rum toddy and broiled oysters". By this time, his fame had grown enough that he was often invited to lecture and recite poetry, including his presentation to the Linonian Society at Yale on August 17, 1841. Willis was invited to submit a column to the each weekly issue of Brother Johnathan, a publication from New York with 20,000 subscribers, which he did until September 1841. By 1842, Willis was earning the unusually high salary of $4,800 a year. As a later journalist remarked, this made Willis "the first magazine writer who was tolerably well paid". In 1842, Willis employed Harriet Jacobs, an escaped slave from North Carolina, as a house servant and nanny. When her owners sought to have her returned to their plantation, Willis's wife bought her freedom for $300. Nearly two decades later, Jacobs would write in her fictionalized autobiography Incidents in the Life of a Slave Girl, which she began composing while working for the Willis family, that she "was convinced that ... Nathaniel Parker Willis was proslavery". Willis is depicted as "Mr. Bruce", an unattractive Southern sympathizer in the book. One of Willis's tales, "The Night Funeral of a Slave", featured an abolitionist who visits the South and regrets his anti-slavery views; Frederick Douglass later used the work to criticize Northerners who were pro-slavery. Returning to New York City, Willis reorganized, along with George Pope Morris, the weekly New York Mirror as the daily Evening Mirror in 1844 with a weekly supplement called the Weekly Mirror, in part due to the rising cost of postage. By this time, Willis was a popular writer (a joke was that Johann Wolfgang von Goethe was Germany's version of N. P. Willis) and one of the first commercially successful magazine writers in America. In the fall of that year, he also became the first editor of the annual gift book The Opal founded by Rufus Wilmot Griswold. During this time, he became the highest-paid magazine writer in America, earning about $100 per article and $5,000 per year, a number which would soon double. 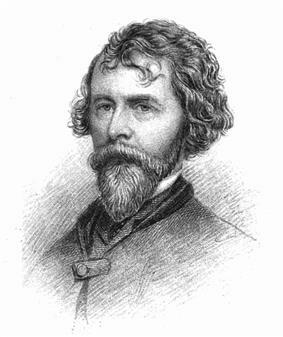 Even the popular poet Longfellow admitted his jealousy of Willis's salary. As a critic, Willis did not believe in including discussions of personalities of writers when reviewing their works. He also believed that, though publications should discuss political topics, they should not express party opinions or choose sides. The Mirror flourished at a time when many publications were discontinuing. Its success was due to the shrewd management of Willis and Morris and the two demonstrated that the American public could support literary endeavors. Willis was becoming an expert in American literature and so, in 1845, Willis and Morris issued an anthology, The Prose and Poetry of America. While Willis was editor of the Evening Mirror, its issue for January 29, 1845, included the first printing of Poe's poem "The Raven" with his name attached. In his introduction, Willis called it "unsurpassed in English poetry for subtle conception, masterly ingenuity of versification, and consistent, sustaining of imaginative lift ... It will stick to the memory of everybody who reads it". Willis and Poe were close friends, and Willis helped Poe financially during his wife Virginia's illness and while Poe was suing Thomas Dunn English for libel. 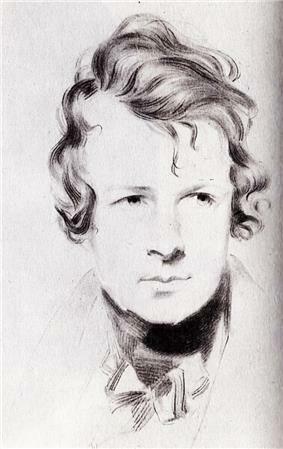 Willis often tried to persuade Poe to be less destructive in his criticism and concentrate on his poetry. Even so, Willis published many pieces of what would later be referred to as "The Longfellow War", a literary battle between Poe and the supporters of Henry Wadsworth Longfellow, whom Poe called overrated and guilty of plagiarism. Willis also introduced Poe to Fanny Osgood; the two would later carry out a very public literary flirtation. Willis's wife Mary Stace died in childbirth on March 25, 1845. Their daughter, Blanche, died as well and Willis wrote in his notebook that she was "an angel without fault or foible". He brought his surviving daughter Imogen to England to be with her mother's family and left her behind when he returned to the United States. In October 1846, he married Cornelia Grinnell, a wealthy Quaker from New Bedford and the adopted daughter of a local Congressman. She was two decades younger than Willis at the time and vocally disliked slavery, unlike her new husband. After the marriage, Willis's daughter Imogen came to live with the newlyweds in New York. In 1846, Willis and Morris left the Evening Mirror and attempted to edit a new weekly, the National Press, which was renamed the Home Journal after eight months. Their prospectus for the publication, published November 21, 1846, announced their intentions to create a magazine "to circle around the family table". Willis intended the magazine for the middle and lower classes and included the message of upward social mobility, using himself as an example, often describing in detail his personal possessions. When discussing his own social climbing, however, he emphasized his frustrations rather than his successes, endearing him to his audience. He edited the Home Journal until his death in 1867. It was renamed Town & Country in 1901, and it is still published under that title as of 2011. During Willis's time at the journal, he especially promoted the works of women poets, including Frances Sargent Osgood, Anne Lynch Botta, Grace Greenwood, and Julia Ward Howe. Willis and his editors favorably reviewed many works now considered important today, including Henry David Thoreau's Walden and Nathaniel Hawthorne's The Blithedale Romance. 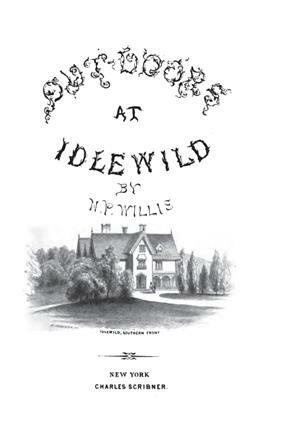 Willi purchased a home in 1846 which he named Idlewild. The home would later inspire the title of an 1855 book. In 1846, Willis settled near the banks of Canterbury Creek near the Calvert Vaux, to carefully plan each gable and piazza to fully take advantage of the dramatic view of the river and mountains. Because of failing health Willis spent the remainder of his life chiefly in retirement at Idlewild. His wife Cornelia was also recovering from a difficult illness after the birth of their first child together, a son named Grinnell, who was born April 28, 1848. They had four other children: Lilian (born April 27, 1850), Edith (born September 28, 1853), Bailey (born May 31, 1857), and a daughter that died only a few minutes after her birth on October 31, 1860. Harriet Jacobs was re-hired by Willis to work for the family. During these last years at Idlewild, Willis continued contributing a weekly letter to the Home Journal. In 1850 he assisted Rufus Wilmot Griswold in preparing an anthology of the works of Poe, who had died mysteriously the year before. Griswold also wrote the first biography of Poe in which he purposely set out to ruin the dead author's reputation. Willis was one of the most vocal of Poe's defenders, writing at one point: "The indictment (for it deserves no other name) is not true. It is full of cruel misrepresentations. It deepens the shadows unto unnatural darkness, and shuts out the rays of sunshines that ought to relieve them". Auser, Cortland P. Nathaniel P. Willis. New York: Twayne Publishers, Inc., 1969. Beers, Henry A. Nathaniel Parker Willis. Boston: Houghton Mifflin Company, 1913. Callow, James T. Kindred Spirits: Knickerbocker Writers and American Artists, 1807–1855. Chapel Hill: The University of North Carolina Press, 1967. Pattee, Fred Lewis. The First Century of American Literature: 1770–1870. New York: Cooper Square Publishers, 1966. Phillips, Mary E. Edgar Allan Poe: The Man. Volume II. Chicago: The John C. Winston Co., 1926. Tomc, Sandra. "An Idle Industry: Nathaniel Parker Willis and the Workings of Literary Leisure", American Quarterly. Vol. 49, Issue 4, December 1997: 780–805. ^ a b c d Lapidos, Julet. "Old New Haven", The Advocate, March 17, 2005. ^ Introduction, Incidents in the Life of a Slave Girl, Harvard University Press, 1987: xvii. ^ Thompson, Lawrance. Young Longfellow (1807–1843). New York: The Macmillan Company,1938: 215. ^ Hubbell, Jay B. The South in American Literature: 1607–1900. Durham, North Carolina: Duke University Press, 1954: 638. By 1850 and with the publication of Hurry-Graphs, Willis was becoming a forgotten celebrity. In August 1853, future  This obituary also stated that Americans "will ever remember and cherish Nathaniel P. Willis as one worthy to stand with Fenimore Cooper and Washington Irving". In 1946, the centennial issue of Town & Country reported that Willis "led a generation of Americans through a gate where weeds gave way to horticulture". More modern scholars have dismissed Willis's work as "sentimental prattle" or refer to him only as an obstacle in the progress of his more talented sister as well as Harriet Jacobs. As biographer Thomas N. Baker wrote, Willis is today only referred to as a footnote in relation to other authors. Of all the literary men whom I have ever known, N. P. Willis was the one who took the most pains with his work. It was no very uncommon thing for him to toil over a sentence for an hour; and I knew him one evening to write and rewrite a sentence for two hours before he had got it to his mind. Willis built up his reputation in the public at a time when readers were interested in the personal lives of writers. In his writings, he described the "high life" of the "Upper Ten Thousand", a phrase he coined. His travel writings in particular were popular for this reason as Willis was actually living the life he was describing and recommending to readers. Even so, he manufactured a humble and modest persona, questioned his own literary merit, and purposely used titles, such as Pencillings by the Way and Dashes at Life With Free Pencil, which downplayed their own quality. His informally toned editorials, which covered a variety of topics, were also very successful. Using whimsicality and humor, he was purposely informal to allow his personality to show in his writing. He addressed his readers personally, as if having a private conversation with them. As he once wrote: "We would have you ... indulge us in our innocent egotism as if it were all whispered in your private ear and over our iced Margaux". When women poets were becoming popular in the 1850s, he emulated their style and focused on sentimental and moral subjects. Throughout his literary career, Willis was well liked and known for his good nature amongst friends. Well traveled and clever, he had a striking appearance at six feet tall and was typically dressed elegantly. Many, however, remarked that Willis was effeminate, Europeanized, and guilty of "Miss Nancyism". One editor called him "an impersonal passive verb—a pronoun of the feminine gender". A contemporary  E. Burke Fisher, a journalist in Pittsburgh, wrote that "Willis is a kind of national pet and we must regard his faults as we do those of a spoiled stripling, in the hope that he will amend". Willis was very sick in these final years: he suffered from violent epileptic seizures and, early in November 1866, fainted in the streets, prompting Harriet Jacobs to return to help his wife. Willis died on his sixty-first birthday, January 20, 1867, and was buried in Mount Auburn Cemetery in Cambridge, Massachusetts. Four days later, the day of his funeral, all bookstores in the city were closed as a token of respect. His pallbearers included Longfellow, James Russell Lowell, Oliver Wendell Holmes, Samuel Gridley Howe, and James Thomas Fields. In July 1860, Willis took his last major trip. Along with his wife, he stopped in Chicago and Yellow Springs, Ohio, as far west as Madison, Wisconsin, and also took a steamboat down the Mississippi River to St. Louis, Missouri, and returned through Cincinnati, Ohio and Pittsburgh, Pennsylvania. In 1861, Willis allowed the Home Journal to break its pledge to avoid taking sides in political discussions when the Confederate States of America was established, calling the move a purposeful act to bring on war. 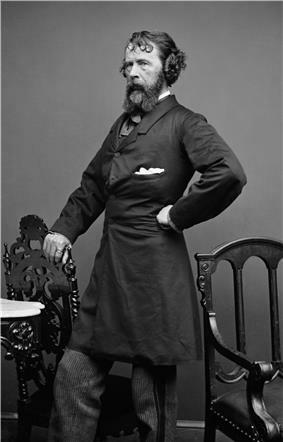 On May 28, 1861, Willis was part of a committee of literary figures—including William Cullen Bryant, Charles Anderson Dana, and Horace Greeley—to invite Edward Everett to speak in New York on behalf of maintaining the Union. 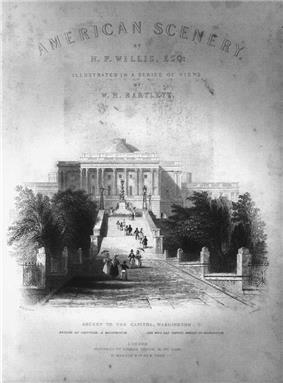 The Home Journal lost many subscribers during the American Civil War, Morris died in 1864, and the Willis family had to take in boarders and for a time turned Idlewild into a girls' school for income. Among his later works, following in his traditional sketches about his life and people he has met, were Hurry-Graphs (1851), Out-Doors at Idlewild (1854), and Ragbag (1855). Willis had complained that his magazine writing prevented him from writing a longer work. He finally had the time in 1856, and he wrote his only novel, Paul Fane, which was published a year later. The character Bosh Blivins, who served as comic relief in the novel, may have been based on painter Chester Harding. His final work was The Convalescent (1859), which included a chapter on his time spent with Washington Irving at Sunnyside. Willis arbitrarily refused to print the work of his sister Sara Willis ("Fanny Fern") after 1854, though she previously had contributed anonymous book reviews to the Home Journal. She had recently been widowed, became destitute, and was publicly denounced by her abusive second husband. Criticizing what he perceived as her restlessness, Willis once made her the subject of his poem "To My Wild Sis". As Fanny Fern, she had published Fern Leaves, which sold over 100,000 copies the year before. Willis, however, did not encourage his sister's writings. "You overstrain the pathetic, and your humor runs into dreadful vulgarity sometimes ... I am sorry that any editor knows that a sister of mine wrote some of these which you sent me", he wrote. In 1854 she published Ruth Hall, a Domestic Tale of the Present Time, a barely concealed semi-autobiographical account of her own difficulties in the literary world. Nathaniel Willis was represented as "Hyacinth Ellet", an effeminate, self-serving editor who schemes to ruin his sister's prospects as a writer. Willis did not publicly protest but in private he asserted that, despite his fictitious equivalent, he had done his best to support his sister during her difficult times, especially after the death of her first husband. Willis defended Catharine, who maintained her innocence, in the Home Journal and suggested that Forrest was merely jealous of her intellectual superiority. On June 17, 1850, shortly after Forrest had filed for divorce in the New York Supreme Court, Forrest beat Willis with a gutta-percha whip in New York's Washington Square, shouting "this man is the seducer of my wife". Willis, who was recovering from a rheumatic fever at the time, was unable to fight back. His wife soon received an anonymous letter with an accusation that Willis was in an adulterous relationship with Catherine Forrest. Willis later sued Forrest for assault and, by March 1852, was awarded $2,500 plus court costs. Throughout the Forrest divorce case, which lasted six weeks, several witnesses made additional claims that Catherine Forrest and Nathaniel Parker Willis were having an affair, including a waiter who claimed he had seen the couple "lying on each other". As the press reported, "thousands and thousands of the anxious public" awaited the court's verdict; ultimately, the court sided with Catherine Forrest and Willis's name was cleared. and the separation became a public affair, with newspapers throughout New York reporting on supposed infidelities and other gossip.Parke Godwin Catharine went to live with the family of  As a result, he and Catherine separated in April 1849. He moved to Philadelphia and filed for divorce in February 1850 though the Pennsylvania legislature denied his application.